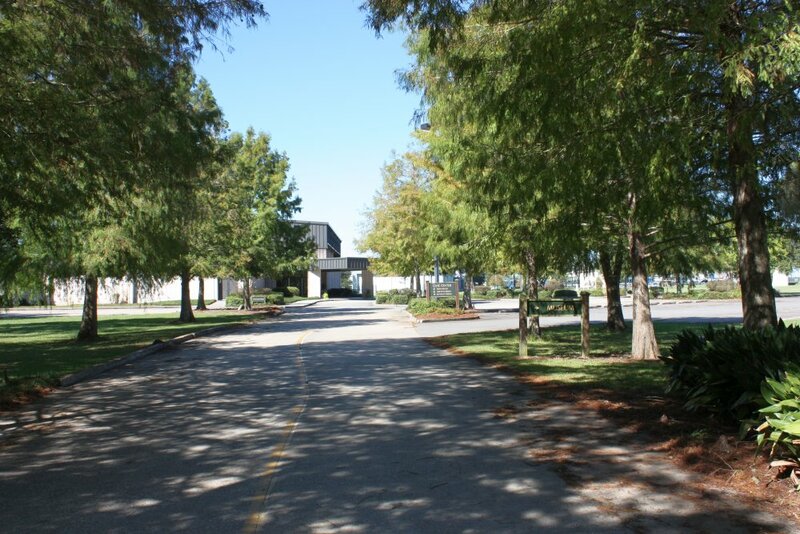 In 1989 Patterson Area St Mary Parish councilman Emory Jennings came up with the idea of creating a recreation district that would provide recreational programs for the youth of the Patterson area and would also include the design and construction of a Civic Center. On July 25th, 1990, the St Mary Parish Council passed Ordinance No. 1110 creating “Recreation District No 4 of the Parish of St Mary”. The district’s western boundary is the Wax Lake Outlet, its eastern boundary is Cotten Road, and it includes the city of Patterson. Ordinance No. 1110 also appointed the recreation district’s first Board of Commissioners. They were: Henry Lagrange – Chairman; Danny Felterman – Vice Chairman; Lucien Armato – Treasurer; Ann Heard – Secretary; and Cutis Hilliard. On August 16th, 1990, the first Recreation District 4 Board of Commissioners was sworn in by Clerk of Court Cliff Dressel and immediately thereafter held their first meeting at the old Patterson Town Hall on Park Street. In addition to the District’s Commissioners, this meeting was attended by Parish Councilman Emory Jennings and Patterson Mayor Gus Lipari. Both emphasized that they would do anything within their power to assist the Recreation District. The first Orders of Business was to find a suitable site and to secure funding for the construction of a Civic Center. The board decided it would like to locate the new Civic Center on the Kemper Williams Park grounds. Discussions were held with St Mary Parish Government officials, Town of Patterson officials, and with the Kemper Williams Park Advisory Committee. It was decided by all that Kemper Williams Park would be a great location for Patterson’s new Civic Center. Next came the issue of how to pay for it. On September 15th, 1990, the voters of Recreation District No. 4 approved two property tax propositions. First was a Proposition assessing 4.5 Mills for construction of a Civic Center, and second was a Proposition assessing 1/2 Mill to fund the maintenance and operation of the Civic Center for a period of ten years. With the help of Firman-Dugas architects, the Board of Commissioners began working on the design of the new Civic Center and in 1991 was ready to put the project out for bids. Civic Center construction bids were received on November 21, 1991, and the low bid of $1,360,000.00 by Thompson Construction Company was accepted. Thompson was awarded the contract on November 27, 1991. A ground breaking ceremony was held on December 19, 1991. It was decided that the new facility would be name the PATTERSON AREA CIVIC CENTER. In August OF 1992, while under construction, Hurricane Andrew damaged a major section of the gym area. The contractor made repairs and construction continued. The Civic Center was completed on schedule and the Recreation District’s Board of Commissioners held its first meeting at the new Civic Center on May 19th, 1993. The Civic Center’s first rental was on May 29th, 1993, and a grand opening ceremony was held on August 12, 1993. On November 20th, 1999, with the ten year Maintenance and Operation ½ Mill Property Tax Assessment that was passed in 1990 about to expire, the voters of the Recreation District approved a 2.5 Mill Property Tax Assessment to fund the maintenance and operation of the Civic Center for the next ten years. Over the years, the District’s Board of Commissioners realized a need for a larger meeting room within the Civic Center facility. In January 2003, State Representative Jack Smith obtained a grant for the district from the State of Louisiana and local Parish Councilman Steve Bierhorst obtained additional funding from St. Mary Parish Government for this expansion. Funds from those two sources, the City of Patterson, and the Recreation District were sufficient for the District to move forward with the expansion project. Bids were banquetroomreceived for a 2800 square foot addition on April 15th, 2003, with Bonneval Construction Company of Patterson submitting the low bid of $413,000.00. On May 21, 2003, the District’s Board of Commissioners accepted Bonneval Construction’s bid and authorized construction to begin. The addition was completed in August of 2004. The Board of Commissioners decided to name the new addition in honor of Emory Jennings. In recognition of his foresight to create the Recreation District, a dedication ceremony officially naming the new addition the EMORY C. JENNINGS BANQUET ROOM , was held on September 23, 2004, and was attended by Mr. Jennings and his family along with many friends, and Parish, City, and State Officials. Since the Recreation District was formed in 1990, and the Civic Center was opened in 1993, the Recreation District’s Board of Commissioners remain firm in their commitment to provide recreational programs for Patterson area youth and to provide a Civic Center for the use and enjoyment of the District’s residents. Past Commissioners who have served the Recreation District are Henry Lagrange, Lucien Armato, Ann Heard, Curtis Hilliard, Roger English, Annette Boudreaux, Eddie Darce, Wardell Johnson Jr., Verna Callais, Brenda Tappin, Robbi Gouaux, Brian Turner, and Kathy Johnson. On September 30, 1992, Barry Dufrene was hired as the District’s Treasurer and on May 19, 1993 , Jerry Boyles became the Civic Center’s first Director. They both remain in their respective positions today. The 2009 Recreation District No. 4 Board of Commissioners consist of Danny Felterman – Chairman; Bill Miller – Vice Chairman; Willis Dore, Jennifer Thibodaux and Ron Abshire.